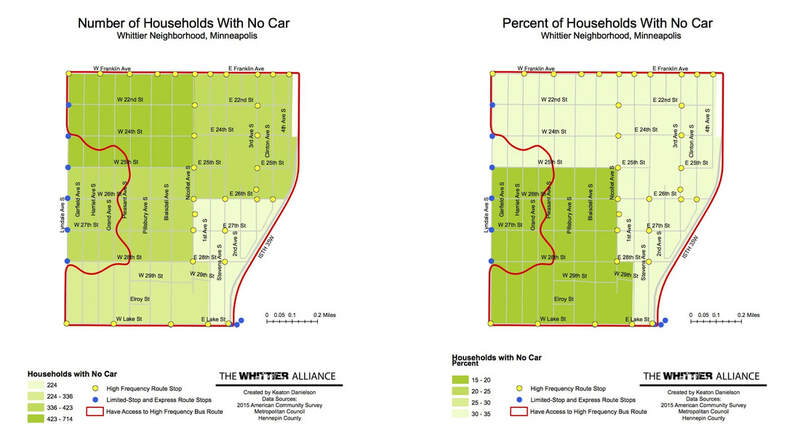 These two maps show different aspects of transportation in Whittier. 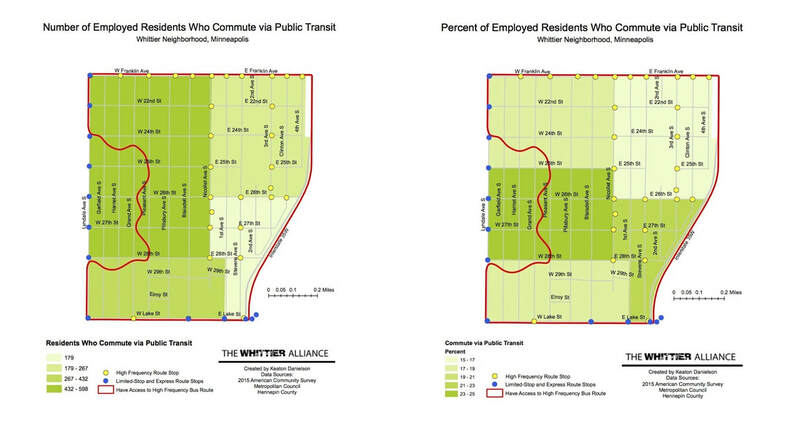 The final map on the left gives a detailed look into the various parking availability along the Nicollet corridor. The maps on the right shows what areas of the neighborhood are served by high frequency bus service, meaning that the locations are within a ¼ mile of a high frequency bus stop.